The gradual increase in the incidence of autoimmune illnesses like lupus, rheumatoid arthritis, and type 1 diabetes has frustrated researchers for years. Now one group of scientists says they might know why it's happening—and how it might benefit humans in the long run. They shared their findings at the annual meeting of the International Society for Evolution, Medicine and Public Health in Durham, North Carolina. To be clear: Living with an autoimmune disease can be awful. People with these conditions are literally attacked by their own bodies. We are not arguing that having an illness makes your life better. But like any ecosystem, the human body is a complex and convoluted place. We don’t fully understand how all the elements work or relate to one another, or what happens when one element changes. Over the last few years, scientists have found some very unexpected relationships within the immune system that remind us that “good” and “bad” are human concepts. The same genetic mutation that causes sickle cell disease, for example, also protects against malaria. And modern day descendants of the Vikings may be more prone to asthma, thanks to a mutation that helped their ancestors fight off parasites. 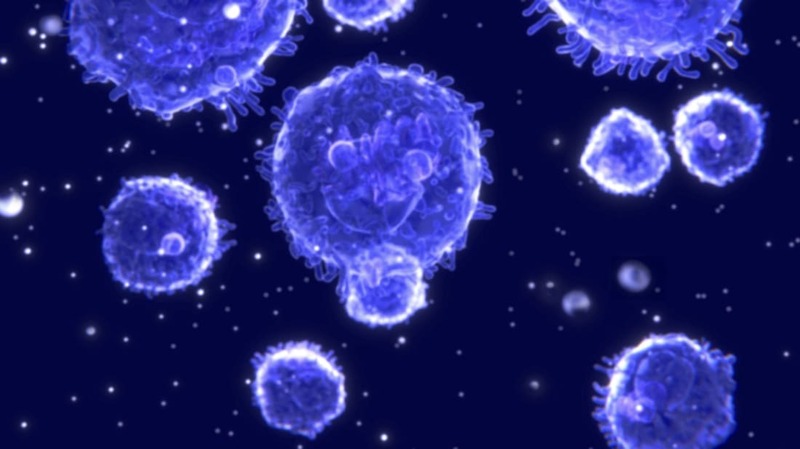 Is it possible that other immune disorders have something to offer as well? To find out, researchers investigated immunity in two animals: humans and sheep. The sheep came first. Researchers have been tracking the health and biographies of 7000 wild sheep in Scotland for three decades now, watching over them through illness, infection, old age, and the birth of new lambs. Princeton University evolutionary biologist Andrea Graham and her colleagues analyzed blood samples from more than 2000 sheep, looking for what they call self-reactive antibodies—the type that cause autoimmune issues. They found that sheep with higher levels of these antibodies were also more likely to have higher levels of parasite-fighting antibodies. Like the Vikings’ descendants, the sheep’s immune systems fiercely attacked invaders (good!) and themselves (not so good). Graham was interested to find out if she could find similar patterns in older adults. She and her team tapped into the data collected by the Social Environment and Biomarkers of Aging Study, which has followed more than 1000 elderly people in Taiwan for the past 27 years. Once again, the research team looked through participants’ blood samples for signs of self-reactive antibodies. And once again, they found an interesting link—but this time it was to longevity. At any given age, participants with high self-reactive antibody levels were 33 percent less likely than their peers to die within a year. They also seemed better protected against viral infections. Aaron Blackwell is an evolutionary anthropologist at the University of California, Santa Barbara. Speaking to New Scientist, he said these studies suggest that autoimmune disorders may not be a physiological mistake after all, but a functional adaptation. The experiments were conducted on very specific populations—Scottish sheep and older humans in Taiwan—but Blackwell is confident that the results are not unique. “I would expect these results to be applicable across many species and across different human populations,” he says.